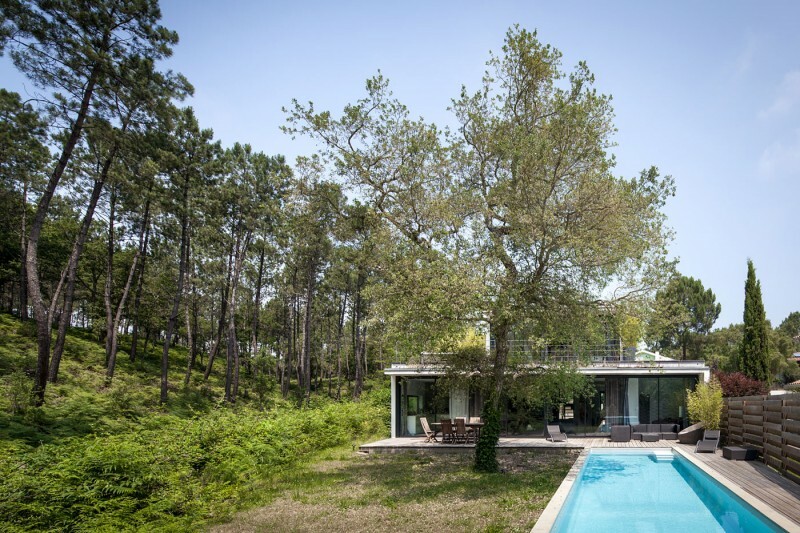 French architectural firm Debarre Duplantiers Associés has designed the Villa Seignosse. 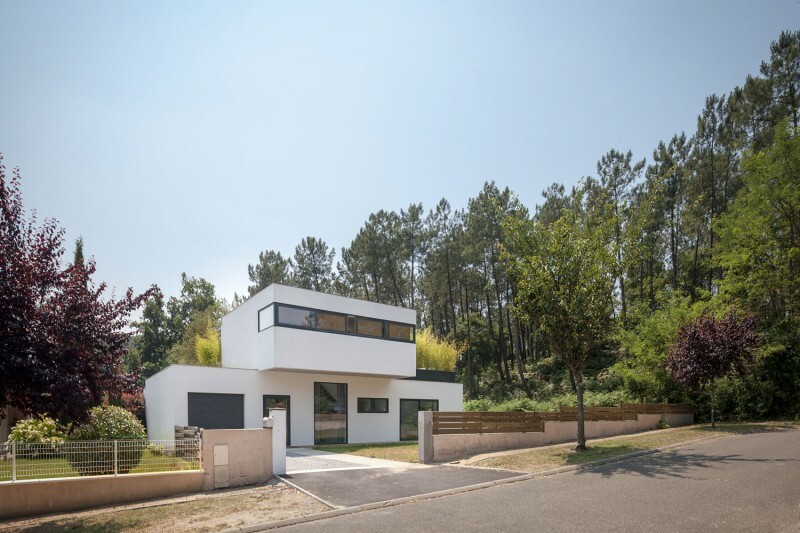 Completed in 2013, this modern house is located at the edge of a large pine forest in Seignosse, France, and features a timeless Bauhaus-like facade. 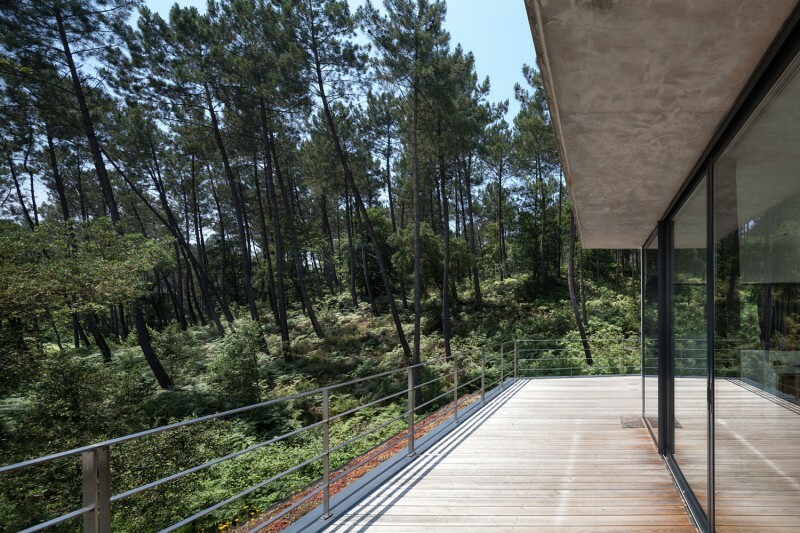 “The house is set on the edge of Europe’s biggest forest. Pine trees draw an irregular skyline at the horizon of Seignosse, the surfers’ hot-spot in the south west of France. 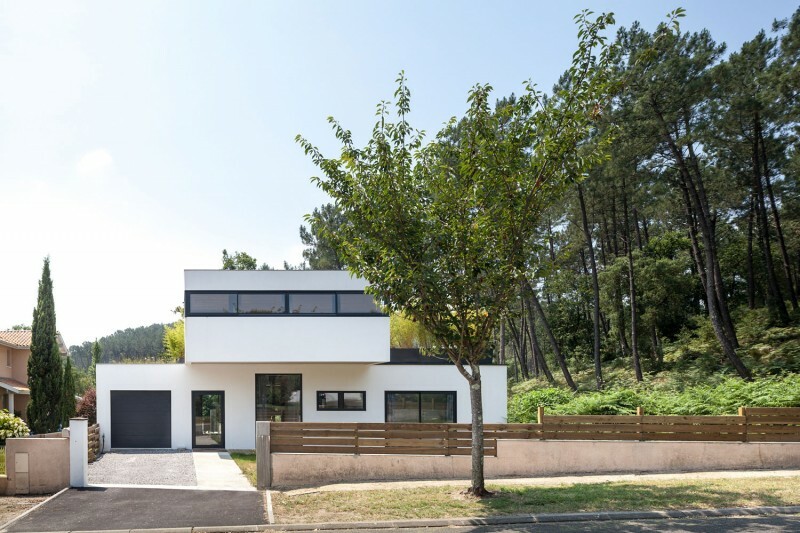 Facing not the sea but a pond on the south, the house contrasts with its surroundings by its orthogonal and white volumes. 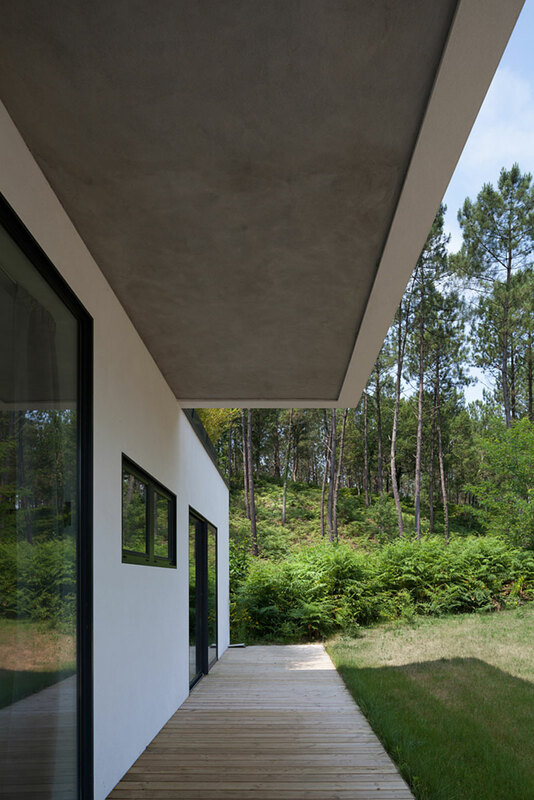 Open to nature, its facade protects the intimacy of its owners on the street side. 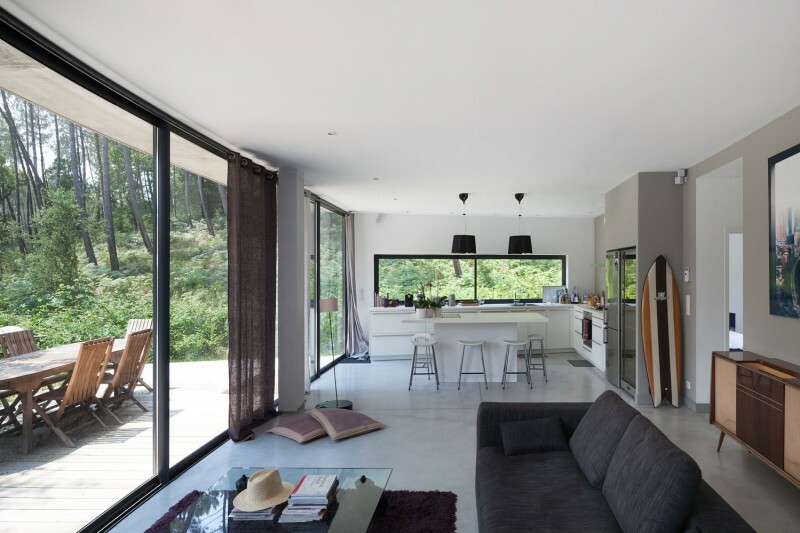 A large living room gathers an open kitchen and a flexible office space, while setting a fireplace in the middle of a glazed facade. 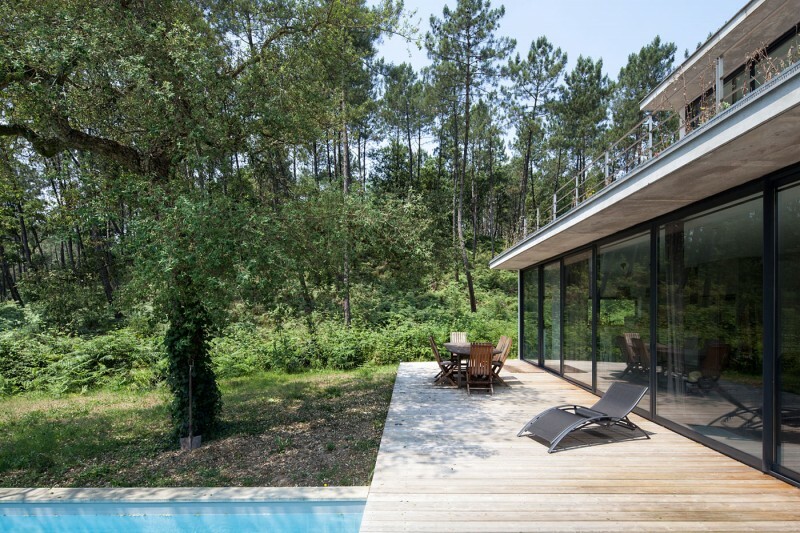 A large wooden deck extends the interior space to the garden and to the pool. Upstairs, the master bedroom enjoys a 360° view, with a south terrasse and a large bathroom.